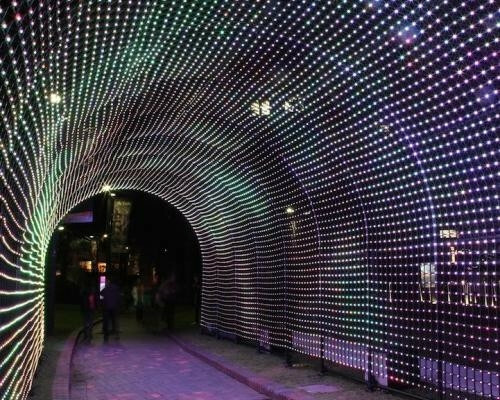 In May of 2013, the Australian light festival called Vivid Sydney celebrated its 200th anniversary with a bright and colorful gift from The Benevolent Society, Australia’s first charity. The Benevolent Society teamed up with Designworks to create Hundreds and Thousands: a luminous masterpiece of hope and entertainment. 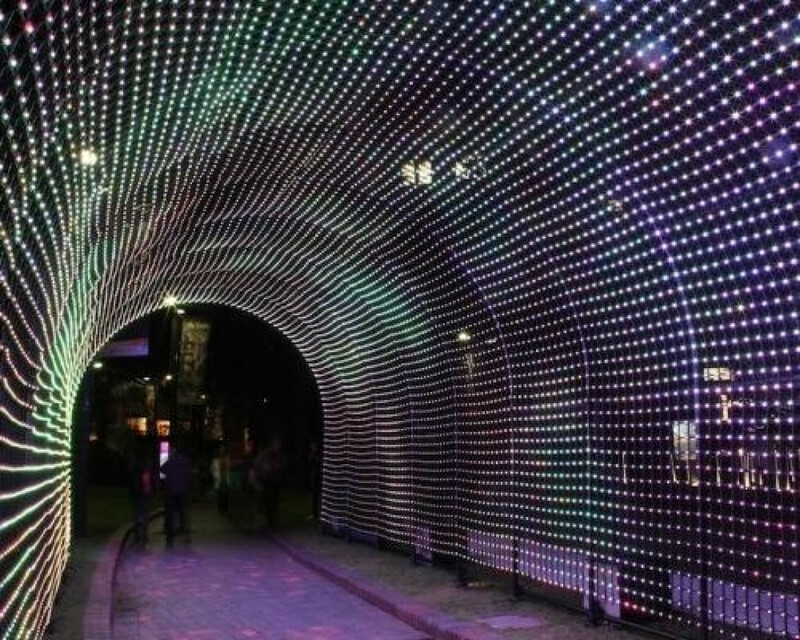 Hundreds and Thousands is an outdoor tunnel embedded with thousands of multi-colored LED lights that light up and interact with the visitors who step within the tunnel. Though entertaining and a great attraction, Hundreds and Thousands holds a larger purpose than simply being a beautiful light-display. The Benevolent Society requested citizens to share on twitter and on Benevolent’s website what positive changes the people of Australia hope to see in the next 200 years. The lights in the tunnel respond to every tweet under the hashtag #hopesforchange and on the website. Every entry about hopes for the future elicits a change in the dynamic of the light display, reacting and shifting in accordance with what people write. This exciting and thought provoking installation is only the first of many projects The Benevolent Society is planning on being a part of. The Vivid Sydney 2013 festival is being held from May 24th-June 10th so visit if you can. If not, check it out on any of these websites: My Modern Met, Youtube, Juxtapoz, Flicker, and Twitter. © 2019 Archcom, All rights reserved	.